Use Turbo Tube to vanish, restore, reappear, color change,make confetti burst high into the air and more. The Imagination is up to you! 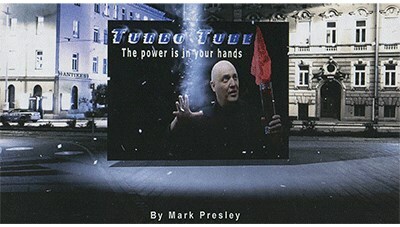 The Turbo Tube is a great utility prop that you will use in every show! Just load the silk and release on your command. Can shoot up to 6 feet in the air. Use up to one 12' inch silk. Use in a snowstorm routine. Can be loaded with "Snowstorm of China" snowstorm. Use as a color change or silk appearance.